LUXEMBOURG – Refugees who enter the European Union alone as minors can apply to be reunited with their families, even if they reach legal adulthood before the end of the process, the EU’s top court ruled on Thursday. At the peak of Europe’s migrant crisis in 2015, 96,465 lone children applied for asylum in the EU, although numbers have fallen since then. 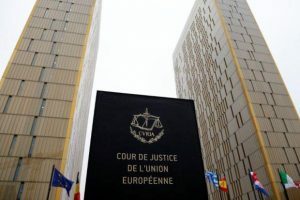 The European Court of Justice ruled on a Dutch case in which authorities rejected an application by an Eritrean who arrived as a minor for her family to obtain temporary residence permits. Winning approval for refugees’ families to join them in Europe can become more difficult if they are considered adults. However, the court determined that the Dutch rejection breached EU law, saying it would otherwise be “entirely unforeseeable” for a minor to understand whether they had the right to seek asylum for their families. It ruled that applications for family reunification should be made within three months of a minor obtaining refugee status.